Downsizing, mergers, and acquisitions are commonplace in today’s working world. 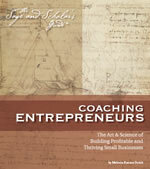 These, along with the strong desire for a better life, are all factors in the skyrocketing demand for Career Coaching. Statistics show one-in-four workers are currently dissatisfied with their jobs and 60% of workers plan to leave their jobs within the next two years. Add to this… the average person is likely to change careers at least 3-5 times throughout their life.